"The shuk (which means open-air market in both Arabic and Hebrew". "A secret operations command centre in Jordan, staffed by western and Arab military officials, has given vital support to rebels fighting on Syria’s southern front, providing them with weapons and tactical advice on attacking regime targets." Did the Palestinians forget that they are under occupation? "According to a new Pew Research Center analysis, six-in-ten Americans (60%) say that "humans and other living things have evolved over time," while a third (33%) reject the idea of evolution, saying that "humans and other living things have existed in their present form since the beginning of time." "
You now may see to the left side of the screen (top) a link to donate to the Legal Defense Fund through Paypal. Thanks for your support. a nasty tribal war has just erupted in Saudi Arabia over a she camel, which was shot. Members of the security forces could not impose order because each defected to his tribe. Here is my interview with Gülen: "Imam Fethullah Gülen, a controversial and reclusive U.S. resident who is considered Turkey's most influential religious leader, criticized a Turkish-led flotilla for trying to deliver aid without Israel's consent. Speaking in his first interview with a U.S. news organization, Mr. Gülen spoke of watching news coverage of Monday's deadly confrontation between Israeli commandos and Turkish aid group members as its flotilla approached Israel's sea blockade of Gaza. "What I saw was not pretty," he said. "It was ugly.Mr. Gülen said organizers' failure to seek accord with Israel before attempting to deliver aid "is a sign of defying authority, and will not lead to fruitful matters.""" The horrific banner actually says: "Extermination of the Ikhwan [Muslim Brothers], sons of Zion and the Jews of Egypt is obligatory". Some of my opponents and critics are honorable people. I mean that. There were Ben Ladenites among the mourners of March 14 yesterday. They chantd for Al-Asir. Western reporters didn't notice them. They declared the crowd non-sectarian. This is like declaring the crowd at a Republican rally "dirt poor" because a poor person was spotted. The Lebanese president just launched the extension of his term in office with the declaration: "Long live Saudi Arabia. Western governments and GCC will bless. I have already received donations for my legal defense fund. Please email me for my address. The first donation was from a Saudi woman, lest you stereotype our people in the gulf. I will open a special bank account and post the number. wikileaks is supposed to have some fascinating stuff on gulen but i'm too lazy to go through it". "Saudi Arabia has pledged 3 billion US dollars (£1.8 billion) to Lebanon to help strengthen the country's armed forces and purchase weapons from France." 1) The money won't be paid in full. 2) Only a trickle will arrive. 3) the bulk will be siphoned by Sulayman and cronies. 4) what is left will pay for trucks and cars and bullets. "Brazil’s is not the biggest anti-poverty program in the world – it is dwarfed by several in South Asia, such as India’s $70-billion guaranteed-income-for-work scheme, for example. And it is not the only one to use cash transfers, which are done on a moderate scale in India, on a larger one in South Africa, and which exist in some form in dozens of developing countries today, run either by the state or by private aid organizations. "Together with seven other communities, Jinba is slated for demolition to make way for an Israeli training ground. Forced eviction hangs over a thousand Palestinians." "every fifth child in Israel has been sexually abused and every third child is living below the poverty line." "Israel historically has demonstrated a willingness to use military force to guarantee access to water resources. In 1964, Syria, with the support of the Arab League, began devising plans to divert the Banias River, threatening roughly 10 percent of Israel's water supply at the time. From 1965-1967, Israel launched attacks to destroy the diversion projects under construction in an effort to maintain access to the water source." "In 2002, villages in southern Lebanon installed small pumping stations and irrigation pipelines on the Hasbani River. Ariel Sharon, Israeli prime minister at the time, claimed these actions constituted a "case for war" and threated military action." "Take, for example, when they intercept shipping deliveries. If a target person, agency or company orders a new computer or related accessories, for example, TAO can divert the shipping delivery to its own secret workshops. The NSA calls this method interdiction. At these so-called "load stations," agents carefully open the package in order to load malware onto the electronics, or even install hardware components that can provide backdoor access for the intelligence agencies." The announcement by Michel Sulayman yesterday about the Saudi gift to the Lebanese Army should be read in the context of what was leaked about his conversation with the Saudi King in the recent visit, when the King asked him to use the Army against Hizbullah. That would be the day. I failed last week to report on the death of Prince Mashari bin Fahd bin `Abdul-`Aziz. As you know this website provides a daily up-to-the-minute coverage of the life and death of Saudi princes. Walid Jumblat, is stricken with grief, as can be expected. Ever since I started writing for Al-Akhbar against their idols and icons, they started a vicious campaign against me, just as the American Zionists launched campaigns against me ever since I launched my blog, or even ever since I opened my mouth as a student here against Zionism and US foreign policy and war. The Saudi government did not ever dared to try to bribe me directly--they don't dare. They however have tried repeatedly--I can reveal this here--to bribe the paper in which I write. The Saudi Minister of Justice, `Abdul-`Aziz Al-Khujah, offered millions to Al-Akhbar to shut me up, but he failed. They want to destroy me physically and morally. Fat chance, whether here or there. You, o worshipers of money and generous governments, in the span of one year alone, you accused me of being a paid propagandist for the Iranian regime and Hizbullah and for the Syrian regime, and now you have moved to accuse me of being a CIA agent--all that in one year, and only because my writings against puppets of Saudi Arabia in Syria and Lebanon is unrelenting. More than a year ago, Walid Phares and other Zionist here, launched a campaign in which I was accused of serving the Iranian regime and Hizbullah. That campaign aimed at endangering me here, just as your campaign wants to endanger me. What? You want to deny the accusation? You want me to deny that I was ever a spy or an agent, I who never wrote one unfree word in my life? Of course, I never ever was an employee, or an agent or "a functionary" or an informant or a doorman (the person in the Syrian exile opposition who instigated this campaign first claimed that I was a CIA spy, but when probably he was alerted that spies of the CIA work and live overseas, he changed his tune and claimed in a published article in the yellow journalism of oil that I was a doorman--notice the class hostility in the accusation--at the CIA. I never ever was employed by any intelligence agency in the world, and my writings--unlike yours--never ever was submitted to any authority for approval--and it shows. To those in the Syrian opposition who participated in this campaign, I say: when your own leaders were delivering lectures at the Asad Library in Damascus, I refused such invitations that I received before the beginning of the Syrian uprising and the Syrian conflict. I have too much respect for the sentiments of the Syrian people and for the plight of the prisoners to accept. I told those who called me from the Ministry of Information that I categorically reject the invitation--full expenses paid. They then tried to invite me in the name of some "civil society" organization with ties to the regime. I refused. As for my life in Washington, DC, my life there was no secret. I did not live in a cave. There are many people who were part of my social circle and they know that the only job I held there before obtaining my PhD was doing research work for the Institute for Palestine Studies in DC. During my student days, I once lived only on Za`tar sandwiches for lack of funds, and because I did not want to request the assistance of my parents. A childhood friend (he knows who he is) once visited me and saw the life I was living and against my wishes sent me a check. You want to lecture me about integrity and ethics, you who follow the worst and most corrupt governments on earth? You who live on the margins of the entourage of princes? I resolve that I will remain a thorn in your eye and a bitter taste in your mouth forever. I will be like a whip on your backs--nay on the back of the princes who order you. And the irony is that this accusation comes from those--unlike me--who are advocates of US wars and policies in the region. It is more than an irony for sure. What do you want? To compare bank account? To reveal our incomes and its sources publicly? I am all for it. I can easily reveal all that I own, but you would not dare. I purchases my house here over a 30 year period so that I can afford the monthly mortgage payments, not over 15 years like most people do. And I still have years before I own it, although it is a cheap house in a cheap housing market in the non-fancy town of Modesto, California. I bought my car seven years ago and over a five-year period. The Polo clothes that you see me wear on TV are all gifts from my late brother, Maher. He would even buy me socks and underwear. I did not pay for those clothes. I own one New Balance shoe at a time, and I change it once a year. The last time I bought clothes for myself was some four years ago. Money does not mean to me. My lifetime savings are so meager that they won't be enough to buy an old car with three tires, not four. In my checking account, there is now some $200. I have lived in the US for 30 years, and I never employed a servant. I clean my own house myself: I go on my hands and knees and clean and wipe and dry and sweep (along with whomever shares my life at that point). When I was in Doha back 2003 to tape a show for Aljazeera, I did accept a visit from the Emir. But what you don't know is that I called Aljazeera management before the visit and told them that I will not accept any gift from the Emir, whether in the form of a fancy watch or an envelope of cash. I told them that if he tries, I will toss in his face. And when the Emir asked me about my work on a book on Saudi Arabia, he offered "assistance" in translations and distribution. I told him: thank you, but if you can assist the children of Palestine. They need assistance. One of them made me a spy last week and a doorman at the CIA the next and speculated that I was a receptionist there--I who never wore a tie in his life. Zionists here make me a propagandist for Iran and Hizbullah and the Hariri and Saudi media went along with that. Take this challenge from me about your accusation: I say here in classical English that the CIA and other US intelligence agencies commit crimes around the world. Take this challenge. I accuse you of absolute subservience and loyalty to all the government agencies of the Saudi government. 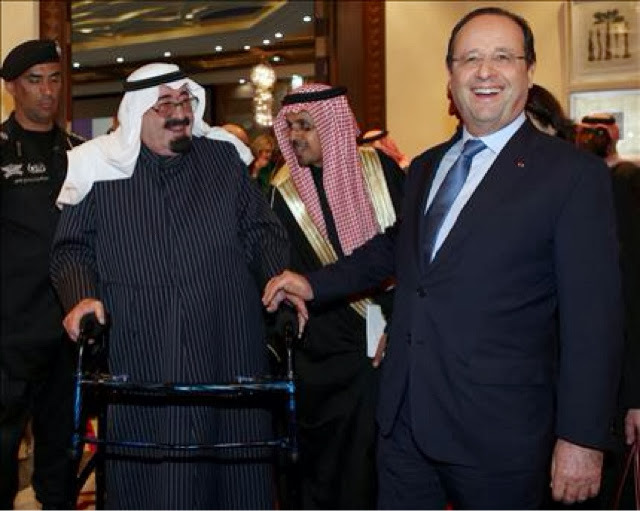 I defy you to say that Saudi intelligence commit crimes, or that it makes mistakes or that it has lapses of judgment. I defy you. You would not dare. And who is the free now? Who is the free operator? Who is the one beholden to a foreign government? How dare you. Read my last week's article in Al-Akhbar about the Kalashnikov: does it reflect the views of the US government, you fools? I speak on behalf of the US government when I post my praises for George Habash? I have lived here for 30 years, try to find one word by me in praise of the US government, any government. One word. I propagandize for any government, or an intelligence agency? I read one word by you and guess the identify of the funder. One word or even just the headline. You who sneeze and cry and laugh and weep by an order from an aide in the entourage of the prince or the Hariri family. The extent of the freedom of the individual is reflected in the content of his writings. I woke up daily and write against the crimes of US wars and foreign policies. You think the US government is tolerant to that extent that it would allow such a degree of freedom from people in its employ? This is part of your ignorance. The US would not allow a person on its payroll to criticize even mildly the government. Poor Alberto Fernandez one made one mild criticism of the US on Aljazeera, and he was exiled to a US consulate in the wilderness in the Sudan. I call daily for the full liberation of Palestine and support the right of the Palestinian people to engage in armed struggle among other forms of struggle against Israeli terrorism and occupation, and you think that the US government sponsors that? Really? The Three Stooges are far more wise than you are and far more knowledgeable than you are. Name me one regime that you accuse me of being a servant of, so that I can call for its overthrow, and name me one intelligence agency of the US that you accuse me of being in the employ of so that I can accuse it of committing crimes. I have more freedoms that you ever will dream of. Search the internet and you shall find that my words are consistent, in Arabic and in English. I say the same words in Arabic and English. I give lectures all over the US, and I have lectured in Washington, DC numerous times at think tanks, and research centers and universities. And some of my audience members were members of US Congress and senior representative of government agencies. And my message would be the same. I am one who Zionists leave the audience when it is my turn to speak and you think that someone in the US government sponsors me? I have never sued anyone in my life but after thinking about it, I will make an exception especially that the attacks this time were directed against my own sister--a woman who devoted her life to the Palestinian cause and to serving the Palestinian refugee camps of Lebanon. I will now sue, in Washington, DC and in Beirut. There is a clear campaign of distortions, fabrications and lies. But I don't have the financial means. If there is a wealthy benefactor out there, or more than one (but only if you are somebody who can spare money to assist), who are willing to assist me in this endeavor please email me privately. I want to establish a defense fund. I know that money is not a problem for you, you who get funding from oil princes and sheikhs. And if it is proven that the US government is involved in dirty tricks against me, I shall sue the US government as well. Lastly, I say that I am free against your will, and I shall remain free. Don't take my word for it, let the readers decide who is the free one here. Read me in Arabic and English and decide. Detect if there is a trace of a foreign government. You are humiliated and despised, and you know it. The rest of my comments will be in court. I know that Gulen's organization is close to Zionists in the US but does anyone know the full story about his views? "the United States currently incarcerates more than 2.4 million people, a figure that constitutes roughly 25 percent of the total incarcerated population of the entire world." "Incarceration Nation has a larger population than about 50 other countries,"
"Critics say that this is in keeping with a tradition since 9/11 of Western governments not wishing to hold Saudi Arabia or the Gulf monarchies responsible for funding extreme Sunni jihadi groups and propagandists supporting them through private donations." "According to the official, the closure of the power station means that electricity supplies to Gaza would be limited to six hours a day as opposed to the usual 12 hours a day." ""...When Kiir sacked his entire government to pre-empt a political power grab by his vice-president, Riek Machar, an ethnic Nuer, from South Sudan's second most populous group, the international community chided him half-heartedly. As both sides mobilised their supporters along ethnic lines and prepared for a renewed conflict, the UN and diplomats continued to refer to the increasingly autocratic president as "steadfast". Unreported in the Western Press. Assafir and New TV point out that for the first time there maybe leads in the car bomb investigation in Beirut. They may lead to Islamists of Fath Al-Islam organization but one should wait. The Washington Post: "This is not to ignore the plight of the Palestinians. They suffer indignity and human rights violations for which Israel cannot escape responsibility. But a boycott is not the answer. ". What is the answer then? You tell the Palestinians that armed struggle is not the answer, and that non-violent struggle is not the answer. What is the damn answer? Where is the outrage, as Bob Dole used to say? The Sisi dictatorship issued a new ruling that a death punishment awaits anyone who leads a demonstration "even if it is a woman." Look at this headline of the article by Anne Barnard: "Bomb in Beirut Kills Politician, a Critic of Syria and Hezbollah". With this headline, she leaves no room for the imagination to speculate on the identity of the killers, and they may be those she mentions or may be not. But when Hassan Laqqis was killed, the New York Times didn't come up with a headline along the lines of "Bomb in Beirut kills a Hizbullah commander, a foe of Israel". Instead, Anne Barnard went to extra length to try to absolve Israel from responsibility and to bizarrely imply that Sunni Syrian opposition groups were behind it. "But interviews with dozens of academics and traders, and a review of hundreds of emails and other documents involving two highly visible professors in the commodities field — Mr. Pirrong and Professor Scott H. Irwin at the University of Illinois — show how major players on Wall Street and elsewhere have been aggressive in underwriting and promoting academic work. The efforts by the financial players, the interviews show, are part of a sweeping campaign to beat back regulation and shape policies that affect the prices that people around the world pay for essentials like food, fuel and cotton. Professors Pirrong and Irwin say that industry backing did not color their opinions. " "In 2011, (the latest available numbers) 885 inmates died (pdf) in the custody of local jails, the Justice Department's Bureau of Justice Statistics reported. Notice I said jails. These are different from prisons. Prisons are for people who have been convicted of a crime and sentenced." One of my favorite expressions about one's low tolerance for alcohol was said by poet, Ibn Linkik: "Imagine that I pass by a vineyard in my vicinity, and I almost topple over whenever I pass its gate". "فحسبك أنّ كرماً في جواري, أمرّ ببابه فأكاد أسقطُ". Something is changing fast in Lebanon. I sense that the rules of the game are about to change, by most sides. The Syrian war will become a Lebanese war too. Are people non-Arabic speakers aware that the Palestinians gave the AK-47 a nickname? The "klashin" they called it. My weekly article in Al-Akhbar: "The fascination with the Kalashnikov: A rifle that speaks Arabic". When Israel attacks and bombs it is always "responding"
Why can't Palestinians resort to violence be ever classified as a response especially that this round came after the Israeli murder of a child? The headline: "Israeli Jets Strike Gaza Strip in Response to Rocket Attacks". "The Nelson Mandela Foundation, an official organization dedicated to promoting his legacy, has questioned the account." No, it has not questioned the account, it has denied it. Basically, the Mossad document said that all black people look alike and that one black there looked like Mandela.
" Suu Kyi rejected charges that the Rohingya situation amounts to “ethnic cleansing.” She said that both Buddhists and Muslims have fears about each other, noting that there is “a perception that global Muslim power is very great.” Although Muslims have borne the brunt of the recent violence, she equated the two groups’ suffering and said many Burmese Buddhists who fled military rule also remain stranded as refugees in various countries. Although other Muslims in Burma also face prejudice, the Rohingya are viewed with particular scorn by many in the country." Look at the headline in the Washington Post: "Israeli military strikes Gaza after civilian is shot by Palestinian sniper"
"The shooting of 22-year-old Salah Shukri Abu Latyef, a contractor for the Defense Ministry sent to make repairs to the border fence, took place about midday...Not long after, Palestinian media reported that Israeli air force strikes had killed a 3-year-old girl and that a Palestinian had been shot dead at the border by Israeli military forces." "Since the Arab Spring began, in fact, the six member states of the Gulf Cooperation Council (GCC) have launched numerous initiatives to open their societies to outside thinking and to improve the rights of women and religious minorities. Qatar has led the way in education, establishing branches of Georgetown, Northwestern, Carnegie Mellon and Texas A&M, and commencing work on a number of world-class museums. Although officially a Wahhabi monarchy, Qatar has also granted Christians freedom of worship and allowed the construction of several churches. In the United Arab Emirates, Abu Dhabi hosts branches of the Sorbonne, New York University and the New York Institute of Technology and has begun construction of branches of the Louvre and the Guggenheim. Meanwhile, Dubai hosts numerous Western institutions of higher learning and the UAE, as in Qatar, grants freedom of worship to Christians and the construction of churches. Similar situations exist, to varying degrees, in Bahrain, Kuwait and Oman, although they are somewhat less open to international intellectual influence than are Qatar and the UAE. Nonetheless, in five of the six GCC monarchies—Kuwait, Qatar, Bahrain, the UAE, and Oman—women are allowed to drive, work and own businesses. Saudi Arabia, the most conservative of the GCC monarchies, is starting to catch up with its neighbors, thanks in large part to the leadership of King Abdullah. Saudi Arabia is investing massively in women’s education and has opened its first coeducational university, the King Abdullah University for Science and Technology. It is also sending tens of thousands of university students to study abroad, including some 45,000 in the United States. While women do not have the right to drive yet, they now make up more than half of Saudi university students and they may work and own businesses." "As a matter of principle, there is little news in the abominable conditions of foreign workers in the Gulf where they often constitute a majority of the population." " "There were about 400 of us including Saudis, Chechens and other nationalities," a badly wounded fighter who was lying on the ground told a state television reporter who was asking him about numbers and nationalities." "Mao’s home town of Shaoshan has spent $320 million in preparation — renovating historical sites and museums, organizing galas, and building new roads and other infrastructure. " In the US, the Bush's presidential library's cost is around $500 million. Again, this about Mao: "In addition to that unavoidable portrait overlooking Beijing’s Tiananmen Square, he appears on most of China’s bank notes, is invoked countless times a day in party speeches and remains a staple of state-sponsored TV dramas and movies." I can understand the outrage of the Washington Post: in the US, they never have portraits of the founding fathers, and they never build statues for them and I can't imagine that they would carve the faces of their leaders on mountains or imprint them on currency. That would never happen here in the US. "A Saudi appeals court has upheld jail and lashes for an Egyptian lawyer whose arrest on drug trafficking charges last year sparked a row with Cairo, a newspaper said Thursday. The lashes are implemented at the rate of 50 per month." You all know--or should know--that the heinous "weapon" of car bombs was first introduced--typically--by Zionist gangs in Palestine in 1946. This is a weapon that is intended to be indiscriminate even if directed at a one person, because innocent people always get killed. The victim, former Minister of Finance and former Lebanese ambassador in Washington, DC was one of the most powerful figures of March 14 and the Hariri movement although he kept a very low profile. When I interviewed key personalities in Lebanon about the Israeli war on Lebanon in 2006, the speaker of parliament, Nabih Birri, told me that his role was even more powerful than that of Fu'ad Sanyurah during those days. Shatah handled all the foreign policy files of March 14 and was the key man between the Hariri family and the US government. At the personal level, he did not create enemies and his statements (public) were rather mild in comparison to other figures of March 14. This may prove to be a signal or a watershed: that the conflict in Lebanon has been elevated to only to the regional level but even to the international level. I think that those who are managing the war in Syria--both sides--figured that it would suit their interest to extend it to Lebanon. "Substantive Erasures: Essays on Academic Boycott and the American Studies Association"
"Members of the American Studies Association (ASA) first considered an academic boycott seven years ago, discussed it openly four years ago, and presented a resolution to endorse it a little over one year ago. As with most boycott, divestment, and sanctions efforts (BDS), opponents made little noise about it assuming that it would disappear quietly under the crushing weight of establishment opposition and explicit threats to professional advancement. But it did not disappear." "The group's crimes have ranged from desecrating mosques and churches to chopping down trees belonging to Palestinians." "A 2009 book published by a settler rabbi claimed that Judaism allows for the killing of non-Jews." Notice that the coverage of the South Sudanese war criminal president in the Western press--which remains largely fawning and favorable--rarely if ever mentions his close relations with Israel these days. "There are questions over whether Washington can afford to substantially increase defense spending without bankrupting the country. It will find itself unable to counter both a resurgent China in East and Southeast Asia, where it has been speculated that China could eventually announce a second ADIZ, and a more muscular Russian presence in the Arctic and near the Baltic states." My latest blog post for Al-Akhbar English: "The Boycott of the Boycott of Israel". "Saudi blogger and activist, Raif Badawi, currently serving his 7-year prison term for “insulting Islam”, may soon appear in a higher court on graver charges of apostasy. If found guilty, he could be sentenced to death. 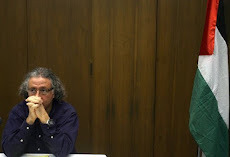 Bringing Badawi back to court to face graver charges was recommended by a judge in Saudi Arabia, the activist’s wife, Ensaf Haidar, told CNN on Wednesday. The news has caused an uproar in social media. " All the accumulated ideological venom of the Cold War propaganda machine has been encapsulated in the obituaries--read vicious attacks--on Mikhael Kalashnikov. But you have to understand: the Vietnam war was in one aspect of it a war between the AK-47 and the M16, and we know who won and who was humiliatingly forced to withdraw and to abandon an imperialist project. Look at this in the Times: "The weapons also became both Soviet and revolutionary symbols and widespread instruments of terrorism, child-soldiering and crime. " But wait: why blame the rifle for child-soldiering and crime? Is this not the country in which the slogan "guns don't kill, people kill" was invented? So people are not able to commit crimes with the M-16? Most crimes in the US are committed by US-manufactured hand guns. Most of the fascist militias in Lebanon carried the M16 supplied to them either by Israel or by the US. And has the AK-47 been praised when sold and distributed by the US to its compliant thugs and fanatics, like the Contras or Bin Laden and his kooky terrorists in Afghanistan? Did the US not supply Bin Laden with his AK-47? Mr. Kalashnikov intended his rifle to be used by members of liberation armies and not by reactionary fanatics hired and organized and funded by the US and Saudi Arabia. My favorite part is that Western media mocked Mr. Kalashnikov because he did not make millions for his design, but he never cared about millions. Finally, I ask: one more time, who won the war in Vietnam? I forgot. "In 2011 alone, UN OCHA recorded 70 attacks by Yizhar settlers, "the largest figure recorded from a single settlement" that year." "Israel immediately responded with airstrikes and tank and infantry fire against targets it associated with militant groups in the Palestinian coastal territory. A Palestinian girl, Hala Abu Sbeikha, 3, was killed and at least four of her relatives were wounded when a shell landed in front of their home in the Maghazi refugee camp in the central part of Gaza, local hospital officials said. " The director-general of Hizbullah TV, `Abdullah Qasir, has been fired, I am told. That proves that his lousy apology to the tyrant of Bahrain for the coverage of Al-Manar TV was not representative of the official policy of the party. Yet, Qasir has moved to Tehran after his ouster. I don't know what that means. Those who know Kiir describe him as humble, honest and meticulous. Some say he is a reluctant leader, forced into his role. They disagree with Machar’s statements that he is autocratic. "A lawyer says a Bahrain court has acquitted two police officers accused of torturing doctors who were detained while treating wounded Shiite protesters in 2011." "Among the two acquitted was Noora bint Ibrahim Al Khalifa, a female police officer and member of Bahrain's royal family." Israeli soccer fans dance and sing "Gaza is a cemetery"
There is nothing that the King of Jordan and his wife do without consultation and suggestions from fancy American PR firms. Every step that the Queen of Jordan has taken was done at the suggestion of her PR firms. They suggested that she starts tweeting and she did and they suggested that she talks on You Tube, and she did. They then suggested that she keeps a low profile after the protests of Jordan revealed a deep level of public detestation for her. Suddenly, she has just appeared on Instagram in "I-am-normal" footage, along with the sudden appearance of her husband--also at the suggestion of his PR firms--in the role of ordinary man in the street. How dumb are those people in manufacturing their spontaneity? "President Mahmoud Abbas of the Palestinian Authority has publicly rejected a boycott of Israel." Yes, just as chief Buthelezi opposed sanctions on the apartheid regime. She would like you to know that she is"surprisingly" normal. She really is and that she has been allowed to get out if her hiding place since the beginning of the Arab uprisings. I don't like to comment on people's private lives so I apologize: but I wrote this story on Facebook in Arabic, and here it is. One of the greatest love stories is that between Salim Huss (former Lebanese prime minister) and his late wife. When she was on her death bed, she requested that she convert from Christianity to Islam. Salim was very hesitant because when they got married, each kept his faith. She insisted and explained that she wants to be next to him in a cemetery when he dies. Her wish was respected. (In Lebanon cemeteries, like everything else, are sectarian). A well-known Western correspondent in the Middle East wrote me this (he/she does not want to be identified): "Obaid is the key regime interlocutor with Western media, analysts and academics. He is in their employ. Part of his job is to harass Western journalists if they don't tow the line. He is empowered by the interior minister to control foreign journalists access to country - he made a list of demands of..., for example, and the information minister was merely cc-ed. He was recently working with Bandar on the Syrian file, and specifically was looking into how viable and desirable it would be to partition Syria. He makes attempts to recruit Saudi students abroad to the project if defending the kingdom in the West - he tells them they will have a life of riches like him and they could get status at a place like Harvard too. He is however a phoney - his Havard work has been a paper saying most Arab countries lack the characteristics to form modern states, except Saudi Arabia. Bit journalists can't be bothered exposing him because they need him for access or a quote; and an elite US academic institution seems to see a use in keeping close to the regime's man too." "Rami Nuseir, executive director of the New York-based United Christian Communities, said Palestinian expatriates “have the skills, they have the money” to make a difference in Bethlehem. His organization works to “halt the flight of Christians from the Holy Land,” according to its Web site, and “to encourage those who have left to return.”" Left unmentioned from those accounts is the visa policy of Western governments which favor Christian (and of course Jewish) immigrants from the Middle East. It is a fact. "Rebels fighting the government of Syrian President Bashar al-Assad seized control of a strategic hospital near Aleppo". What is a strategic hospital for, for potato's sake? Is this like the "strategic checkpoint" they got in Bab Al-Hawa? "Several people mentioned to me that during Ahmadinejad’s eight years as president, the Iranian government received about $700 billion from oil sales. Where did that money go?" I don't know where the money went, Mr. Ignatius but I can assure you that unlike the House of Saud it did not go to Ahmadinejad's family. The questions are so soft it's ridiculous. They even run an Ahrar al-Sham propaganda video in the introduction, showing them handing out bread to people. How cute is that? Hassan Aboud is more PR-conscious than his comrade, the openly horrific Zahran Aloush, and the AJE interviewer lets him run with it. He does not even ask him about al-Qaida, which his armed forces are fighting side-by-side with on the ground in Syria. Nonetheless, Aboud still volunteers that information and says of the Nusra Front and Islamic State of Iraq and Sham that "we welcome working with them". claims HRW report that mentioned their crimes against civilians because it admitted drawing on the reports of refugees "from the regime's religious sect"." Qatari propaganda now claims that Qaradawi is an "independent"
"The conspiracy theories advanced by the pro-government media — which resonate with certain segments of the population because both anti-American sentiments and anti-Semitism are widespread in Turkey". I swear that my main problem with some Western journalists is not about politics but about logic, knowledge and intelligence. Look at this circular generalization above. Conspiracy theories are popular in Turkey because of anti-Americanism and anti-Semitism? What about the popularity of conspiracy theories in the US--the real capital of kooky conspiracy theories? Will that be blamed on anti-Americanism and anti-Semitism? And how does anti-Americanism contribute to conspiracy theories? "The palace was packed with singing girls, concubines and servant girls. But… word had it that he maintained a homosexual relationship with Jafar, one of his principal administrators, who was later executed." Well, Robert. You should have consulted with your driver, Abed, on this one. 1) the singing girls were concubines. So the reference of the singing girls AND concubines was redundant. 2) your story about Harun Al-Rashid and Ja`far al-Barmaki is totally baseless. The fall of the Baramikah is a whole different story. And W.M. Watt was right in observing that modern scholarship finds no evidence of this alleged relationship. The fall of the Baramikah had to do with their enormous influence within the government and their self-enrichment and their political attitudes. It was not personal. The personal story that is more relevant to the execution of Ja`far had to do with the story that Harun arranged for the marriage of Ja`far to `Abbasah (the sister of Harun) on the condition that the marriage would not be consummated. Ja`far may have violated the agreement, but that also is not the reason for their fall from grace. "Hamideh’s performance has turned him into an Arab-American sensation, and he now has people from all over the Middle East and North Africa tweeting at him, saying he has managed to put a smile on their faces." "The Foreign Affairs Committee highlighted Bahrain's strategic location which, together with its growing economy and willingness to host UK military forces, apparently make it "vitally important" to the UK's interests." "By setting up ts authoritarian administration, colonial France transformed cultural groups, ethnic or religious, into state managed political categories. As with all colonial regimes, this strategy of divide and rule was meant to undermine the common political project of the African people and to prolong French dominance." "Horror stories about Muslim misogyny have long been used by western patriarchs to justify imperialism abroad and sexism at home." "For decades, western men have hijacked the language of women's liberation to justify their Islamophobia. If we care about the future of feminism, we cannot let them set the agenda." Thank you, Joseph for alerting me to the problem on my blog where only a few posts were displaying per page, and thank you, Marc, for solving the problem. As for the rest of you, no thanks are needed or warranted. He won most of those medals and ribbon in the war for the liberation of Palestine. This requires an article. This man is the man of the 20th century and beyond. His influence is immeasurable. He popularized and democratized the battle gun and gave anti-state forces power, especially in anti-colonial struggle. No Arab or African can forget the time when he/she first held a Kalashnikov. It is like remembering one's first kiss. Been thinking lately: one could do a study of the current state of international affairs form the standpoint of Adorno's Negative Dialectics. I believe that looking at political events from WWII till today, one can confidently assert that Adorno's negative dialectics were far more pertinent and accurate than the "positive"--so to speak--dialects of either Marx or Hegel. This requires an article. 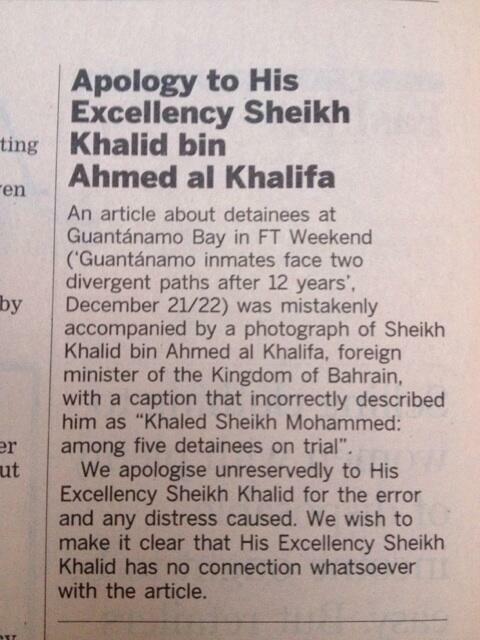 "Ibn Rushd" wrote to me asking why the FT did not offer an apology to the other guy. "Mr. Bronfman also wrote four autobiographical books." And each book contained more lies than the previous one. To the folks at Reddit: my computer crashed and I lost the last email. But the answer is yes, I would do the interview. "As Vassar College's Zachariah Mampilly pointed out, rebels have a strong political incentive to demonstrate that they can provide services and stability in areas they control -- while the regime has just as strong a reason to undermine those efforts through indiscriminate rocket fire, denial of humanitarian aid, and other seemingly irrational military acts." Oh, quite the contrary. The rebels have been able to show us the features of their future government by establishing Shari`ah courts and councils in all "liberated" areas. Of course, unlike the regime, the rebels only use "rational" military acts. PS Rational military acts are those that are consistent with US foreign policies. Irrational are those that are inconsistent. Never in its history has the lousy Syrian regime ever thrown a barrel of explosives on the occupiers of the Golan. Not once. I took a look at his profile on Harvard's site, and there too his primary identification is as an advisor to Saudi princes. At the very bottom of the bio, you learn that once upon a time he started a PhD program he never finished. Does that mean I can stop my program now and still have a chance at a place like Harvard? How lovely." "British artist Guy Mannes-Abbott said: "The Guggenheim's image is certainly soiled. The Louvre banks millions of dollars every year for use of their 'brand', while its new museum is being built by what Human Rights Watch describes as 'forced labour'. The British Museum's role has so far escaped notice, but it should consider gifting or returning items that they will be stuffing the Sheikh Zayed National Museum with on lucrative loan agreements." "
"Palestinian president Mahmoud Abbas has been accused of being a traitor by activists after publicly rejecting calls for a boycott of Israel." "Our narrow commercial interests are of lesser importance than the politico-strategico-economic interest to us of Saudi Arabia as a major supplier of oil to the West, owner of the largest reserves of any country outside the United States and a major factor in the stability of the whole Gulf oil-producing area. To a degree, the stability of Saudi Arabia and that of the Gulf states are interdependent. The Saud regime would be threatened by radical regimes in the Gulf states; the present regimes in these states could hardly be expected to survive a revolution in Saudi Arabia. Libya is a fearful example. We can hope that when change comes in Saudi Arabia, it will be less unpalatable and we can in a limited way reinsure against it by extending non-political contacts outside the regime and the surrounding establishment. But we should work on the assumption that, however unsatisfactory, this is the best regime in Saudi Arabia we have, or can count on getting. There is little or nothing we can do to improve it, so we must make the best of what it is. It is in our interests that it should survive for a few more years."" This is the main headline today of the Hariri rag, Al-Mustaqbal: "European displeasure from Nasrallah's words". Kid you not. The paper, mind you, represents the movement that claims that full sovereignty of Lebanon is its goal. The first teaching job that Hegel held, after working first as a private tutor, was as a Privatozent at the University of Jena: which was a position of an unsalaried university lecturer whereby individual students who attended his classes would pay him directly. What a lousy system that was. Can you imagine? You see, I was under the impression that stability in the Middle East resides in preserving the regimes. This is how the US referred to Gulf regimes and the Iranian regime of the Shah, that they are stabilizing forces and that opposition to them is destabilizing them. And then I encountered this sentence in the New York Times: "Iran remains a destabilizing force in Syria, and its neighbors view its efforts to prop up President Bashar al-Assad". That adds another layer to the meaning. So it is stabilizing to protect and preserve Arab regimes with the exception of those regimes who defy the US will. In those rare cases, it is stabilizing to overthrow those regimes. From Alastair: "It looks like the scene of the parade of camel-riders in Lawrence of Arabia, after he's escaped from the Turk in Dar'a. But motorised." "Predictably, it has angered Saudis, for whom Abdul Aziz is a cherished historical figure. Saudi sheikhs issued fatwas calling for Anzour’s death. “Did you hear about this morning’s fatwa?” Anzour asked me, reaching for a printout on the coffee table in his office in Damascus. “A Saudi fatwa to kill Najdat Ismail Anzour,” it began, “because in his latest film he insults Islam by attacking the Saud family.” "
My views on this are rather complicated. Yes, the US government and security and visa officials are racist and they would never ever have dared to do this to a European or Israeli diplomat even if they were caught with a truck of cocaine. But on the other hand: Middle East and Indian diplomats habitually abuse and exploit domestic servants. Let us not kid yourselves here.
" "It seems it is not acceptable in a time of conflicts for the princess of the prestigious Arab art to express her love for the master of the resistance," Rahbbani said. He added defiantly: "Whoever attacks Fairouz and Nasrallah is defending Israel." "
"According to a new report by the UN Office for the Coordination of Humanitarian Affairs (OCHA), at least 3608 Palestinians were injured by Israeli soldiers this year." "Marooned behind the wall but within city limits, the Shuafat refugee camp reveals Israel's uneven treatment of Arab and Jewish neighborhoods, creating a de facto partition of Jerusalem, which is the epicenter of the Middle East conflict." "Instead, through systematic neglect and curbs on Arab expansion, Israel is redrawing the city's demographic balance in favor of Jews, some Israeli and Palestinian officials say." "Democracies are not, of course, pure of heart in matters of development assistance. Hans Morgenthau, that bleakest of realists, argued in his 1968 book, A New Foreign Policy for the United States, that development assistance was a perfectly effective instrument with which to bribe allies, though otherwise a waste of money." "Leading Salafist preacher Yasser Borhami has given his public endorsement to Egypt’s draft constitution, urging Egyptians to vote yes in the national referendum on the draft in January. "There could be foreign intervention, division in the armed forces, collapse of the economy or an internal war between the people [if people vote no]," he said during a sermon he delivered on Friday at Al-Bokhary Mosque in Upper Egypt's Kafr Al-Sheikh." He may be dumb, he may be incompetent, he may be a clown, he may be irrelevant, he may be a fool, but you have to admit: he has convinced himself that by showing up in public places he can prove that he is a statesman. Meet King PlayStation having a grilled meat lunch. You are supposed to exclaim: how modest, how nice, how humane, how down to earth. This is a report on the background of the Islamic Front. But the leading element of the Islamic Front is Ahrar Ash-Sharm. A leading most mysterious figure of Ahrar Ash-Sham, and consequently of the Islamic Front, is none other than Abu Khalid As-Suri, an actual comrade-in-arms with Usamah bin Laden. The manifesto of the Islamic Front accept global Jihad, or as you Americans like to call it: Global Jeeeeeeeeeeeeeeeeeeehaaaaad. This is quite hilarious. For months there has been revelations about the extent of global NSA spying and even spying on US citizens. The New York Times was more amused than outraged in its coverage. But notice how different the tone is when it comes to Israel. The paper is quite outraged. Also, notice that the New York Times under the cloak of national security and privacy has refused to cite from the private emails of targeted individuals, including the Israelis mentioned in the article today. But it has no qualms about citing form the private emails of one man: a black African. When the monstrous war criminal militia republic in South Sudan was created, all Western media and governments hailed the event as a solution to the problems of south Sudan. The war criminal installed as a puppet was hailed as a democrat. Darfur groupies declared victory. Three years later this: "Less than three years after its creation, the world’s newest country is beginning to fracture along ethnic lines in violence that has killed up to 500 people. What could come next, some warn, is ethnic cleansing." Look at this disgustingly deceptive statement: "“The contradictory reports about what happened on Dec. 12 underscore the critical need for more transparency from the Obama administration and Yemeni authorities about these strikes,” said Letta Tayler of Human Rights Watch, who has done extensive research in Yemen about the drone strikes. " 1) There is nothing contradictory about the reports. There is overwhelming evidence confirmed by US media including the New York Times that the US drone killed civilians. What is contradictory about that? The US government has not even presented any evidence to the contrary other than its standard general statement of obfuscation and lies. 2) Notice that Tayler of HRW included Yemen in the sentence: " transparency from the Obama administration and Yemeni authorities about these strikes". Oh, really? The Yemeni government? As if the Yemeni government is anything except a puppet government of the US. My weekly article in Al-Akhbar: "Mandela: [In] Captivity and Freedom". Here, Doha Shams, the press secretary of Fayruz, explains her political views: pro-Arabism, pro-Palestine, and pro-Resistance to Israeli occupation and terrorism. A lesson in respectful disagreement. "The case has struck a nerve in deeply traditional India, where a woman’s modesty is still considered sacrosanct." So a strip-search of a US diplomat overseas would not in any way cause consternation here in the US because the US, unlike India, is deeply untraditional? Help me out here, please. "is intended to show the Kremlin’s humane side and promote reform of the country’s draconian penitentiary system". It is rather amusing to watch US official arguments in favor of dealings with the Bin Ladenites of Syria. Soon, you will hear that Ayman Adh-Dhawahiri represents the moderate faction within Al-Qa`idah. "Israeli forces killed a Palestinian civilian and wounded 6 others in Jenin refugee camp in the north of the West Bank. A Palestinian civilian died of previous wounds in Bethlehem. Israeli forces have continued to open fire at the border areas in the Gaza Strip. 3 Palestinian civilians, including a child, were wounded in the northern and southern Gaza Strip." "The news is a blow not only to BAE but also to the prime minister, who intervened personally last month to try to secure a deal that would have represented a significant boost for British exports. During a visit to the UAE, Cameron urged Sheikh Mohammed bin Zayed Al Nahyan, the crown prince of Abu Dhabi, to opt for the Typhoon over a rival fighter produced by France's Dassault Systemes." Who owns the China sea? A reader in Riyadh has just notified me that government sources there have officially asked him to unfriend me on Facebook. Just compare this great man to the lousy Yasser `Arafat. Human Rights Watch FINALLY spoke about the persecution of `Alawites in Tripoli, and as is expected from an organization that has become (in its Beirut office) a mere arm of the Hariri March 14 movement and also of the Fee Syrian Army it is a disgraceful whitewash. There is an effort at every step of the way to keep the culprits unnamed and to not point finger at the political movement, in Lebanon and in Syria which is responsible for the attacks on `Alawites. Look at this sentence: "Sectarian tensions between the Alawite Jabal Mohsen neighborhood and surrounding Sunni neighborhoods have led to increasing targeted attacks against Alawites in the northern Lebanese city of Tripoli. " Look at the grotesque language used: this is like writing about the plight of Jews in Nazi Germany: racial tensions between the Nazi and the Jews have led to the holocaust. There is a clear horrific attempt to say not one word about the political movement in Syria and Lebanon (which has the same Saudi sponsor) which have sponsored and spawned a bigoted anti-`Alawite campaign of violence. There is not one word about the anti-`Alawite rhetoric that have emanated from the Syrian armed and exile opposition and which prepared the ground for such crimes. And then the statement proceeds to yet again leave thins ambiguous to avoid pointing fingers at the anti-`Alawite bigots in the Syrian "revolution" and their Saudi-paid allies in Lebanon: "The conflict in neighboring Syria has severely aggravated existing sectarian tensions". No, it is not the conflict in Syria per se but the the armed gangs and their supporters in Lebanon, and who have received a clear support and sympathy from the Human Rights Watch office in Beirut, whose director (on Twitter) disseminates the utterances of his friends in the Hariri media operation in Lebanon. And then the lousy statement says this: "Sunni gunmen and arsonists have attacked and burned numerous shops belonging to Jabal Mohsen residents in other Tripoli districts. Sunni militants have also beaten Alawites on the streets of Tripoli outside of Jabal Mohsen. Some gunmen from the Sunni neighborhood of Bab al-Tabbaneh have forced Alawite shop owners to pay protection money." This is a blatant lie and a propaganda hatchet job. Not only the attackers did this but they also have started a pattern of attacks, whereby they look for `Alawites traveling on public buses and force them down to the street and shoot at their legs. But what is worst is this: the report says not one word about the political movement of Saudi-armed and paid March 14 and their Salafite gangs who have blessed, sponsored, endorsed, and protected the attackers. The report makes it sound as if the attackers are mere criminal gangs with no political affiliation. The report does not speak about threats made against the whole Jabal Muhsin by key March 14 politicians in Tripoli. Threats and practices of sectarian cleansing have received no mention in this lousy report. They say better late than never? I say, better be silent than come out with this grotesque statement that basically shielded the killers. Another record of shame to the Human Rights Watch office in Beirut. You know how much I hate the Lebanese government but reading this report made me feel sympathetic as it was the only party named in this report in order to shield the killers. 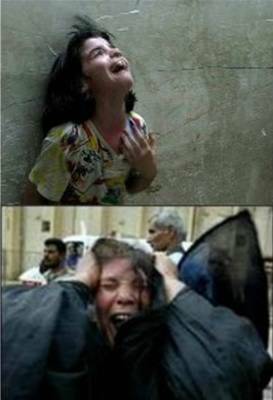 "Such crimes have surged in recent years; the Pentagon estimates that 26,000 troops were assaulted or raped last year. But only a fraction of them, about 3,300, filed reports with military police or prosecutors in that time period. " 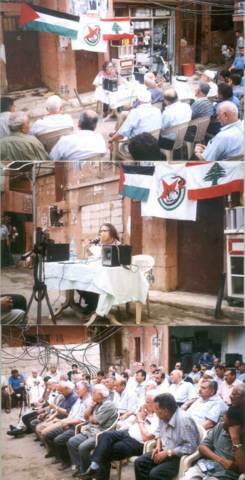 I have been critical of the reports from Lebanon (on Syria) by Loveday Morris but I have to say she has been the only reporter who has covered the persecution of `Alawites in Lebanon. But there is a major omission: the killing of Alawites and the burning of their store and the sectarian expulsion of `Alawites from Tripoli neighborhood started long before the explosions at the two mosques. Long before. She also needed a a historical context about the persecution and hatred of Alawites. "The public’s support for Rouhani stems in part from national fatigue after eight years of inflammatory former president Mahmoud Ahmadinejad. He seemed to delight in shocking the West with his anti-Israel diatribes, but for many Iranians he was an embarrassment. A half-dozen people I talked to here said the Ahmadinejad years are remembered for bad economic policies and corrupt favoritism for the power elite. " I never watch US TV news anymore. I wasted enough time in my past on that. I stick to print US news now. But I made a point to watch 60 minutes on the NSA. 1) I don't fault the critics of the report for objecting to the segments but I fault anyone who ever treated 60 minutes as a news show. It is a lousy propaganda and entertainment show. The tobacco story should have been enough to get it off the air from a news stand point. 2) the presenter of the story is a man, who aside from his boring delivery and personality, switches regularly between government and media and only because he once arranged for an interview with Bin Laden. 3) the report is so dumb that at one point they take a rubix cube to an NSA employee to solve it in one minute (it took him 1 minute and 35 seconds). As if this qualifies a person to an intelligence job or as if this proves one's intelligence. 4) not one single critic of the NSA was shown or even cited. 5) the viewer is basically told to just trust the government and that all will be well. 6) I thought to myself, this report on NSA would not be different than a report on Syrian or Iraqi or Saudi secret police if those regimes allow such a report, and they should. The New York Times does not cover Afghanistan, it simply lobbies and advocates. It is outraged that the Afghan puppet has not yet signed the treaty with the US. It uses all the propaganda tools at its disposal. Look at this front page story from yesterday: "A Top Iraqi Official’s Advice to Karzai? Take America’s Deal". And who is the top Iraqi official? None other than the Barzani's foreign minister. But if Mr. "top Iraqi official" is keep that Afghanistan should sign the treaty with the US, how come he did not arrange for Iraq itself to sign a similar treaty which was rejected, not by an appointed loya jirga, but by an elected body of Iraqis. Do you notice that if a police in Cuba slaps a citizen, the New York Times will devote a half a page story on the matter. I remember once I read a long article in the New York Times about how a Cuban dissident's house had graffiti sprayed on it. There is so much corruption and repression going on in the PA police mini-non-state, but none of that makes it here. Did you hear about the brave PA's TV reporter who blasted the corruption and nepotism in PA media and she wrote a letter proposing marriage to Mahmoud Abbas because she said it is the only way to get ahead there. And did you read that Abbas promptly fired her for her courage? Or about the fist fight between two Fath leaders the other day? "Eyewitnesses said that Yassin was executed in cold blood, and that the soldiers left him bleeding on the ground, and prevented local medics from providing him with urgently needed care, or moving him to hospital." "The Russians charged that the peaceful uprising was engineered by Western intelligence agencies, particularly the CIA and MI6, which funneled money into pro-Western NGOs and political parties. Whether this was an intelligence operation or a fairly open activity, there is no question that American and European money poured into Ukraine." "Universiti Kebangsaan Malaysia sociologist Dr Mohd Faizal Musa (pic) said extremist religious authorities have spread the myth that Shia Islam was a recent import starting in 1979 and that the denomination, which is the second largest in Islam, was a foreign threat. “Wahhabis in Malaysia tend to regard Shiism as ‘another religion’ and consider Shias ‘infidels’, ‘unbelievers’, ‘heretics’, ‘deviants’, and ‘non-Islamic’," he told The Malaysia Insider in Kuala Lumpur. He said Wahhabism had also made dialogue between Sunni and Shia Muslims difficult, thus compounding the ignorance and fear that the majority Sunni feels towards the Shia. A reader sent me this: "I had just smoked a joint before reading this "and who better to give advice to western governments than saudi princes" and I absolutely died. "Humanitarian drones" is a very sick joke as well. "